Though cannabis has been a hot topic in the medical field and in the general public for at least the past 5 years, the ancient herb is having a tough time losing its stigma. The recent renewal of this pancultural medicine has sparked a new debate on its safety and legitimate use. In step with this trend, Israel has been the man worldwide force in propelling medical cannabis to the fore around the world since 1999. The Israeli government allows for robust research on the drug which the US has banned to Schedule 1 status. The seeded stalks with surprising Talmudic roots are quickly finding the mainstream in Israeli research, encouraged by the current Minister of Health, Rabbi Ya’akov LItzman of United Torah Judaism. Cannabis access for patients in Israel is one of the few political issues in the Israeli government that unifies both the right and the left of the spectrum. Perhaps it is no surprise that the green herb native to the Sinai has been used throughout the ages by physicians to treat respiratory ailments, as the Rambam describes in his medical writings; indeed, cannabinoids are potent bronchodilators. Additionally, recent archeological remains found near Beit Shemesh show that cannabis resin was used as anesthesia during childbirth. More recently, the OU has certified certain medical cannabis foods for oral consumption, and Tikkun Olam, an Israel-based Torah-minded cannabis grower, is producing chewing gum for children with intractable seizures, amongst others. The Rambam surely felt quite comfortable with the use and discussion of cannabis, given its spotlight in the Talmud. At several points, the Infinite provided Moshe Rabeinu and the Jewish people clear instructions on cannabis cultivation and use, around the laws of kilyaim and shatnez. Should it be treated like flax, or not? Daas HaZakenim even debates whether it was flax or cannabis stalks behind which Rachav hid the spies in Jericho. The Meam Loez acknowledges that the stalks were naturally perfumed, suggesting cannabis. Indeed, the use of cannabis in fabrics, Shabbos wicks, and sukkah building has been a debated and discussed topic in Tosefos, the Shulchan Aruch, Sefer HaChinuch, Ben Ish Chai, and Magen Avraham amongst others. Rabbinical scholars once excluded cannabis as food on Pesach due to the kitynos prohibition, most recently, HaRav Chaim Kanievsky made a medical caveat for this prohibition. And while recreational intoxication is surely not proscribed in Torah, the former Chief Rabbi of Egypt, the Radbaz, does mention its intoxicating effects. He surely does not attest to personal experience, but he describes the leaves as ‘simchah’ producing upon consumption. Additionally, the Tur and the Shulchan Aruch Jews warn Jews against reciting the Shema within dalet amos of a bowl where cannabis is soaking in water, due to its pungent odor. 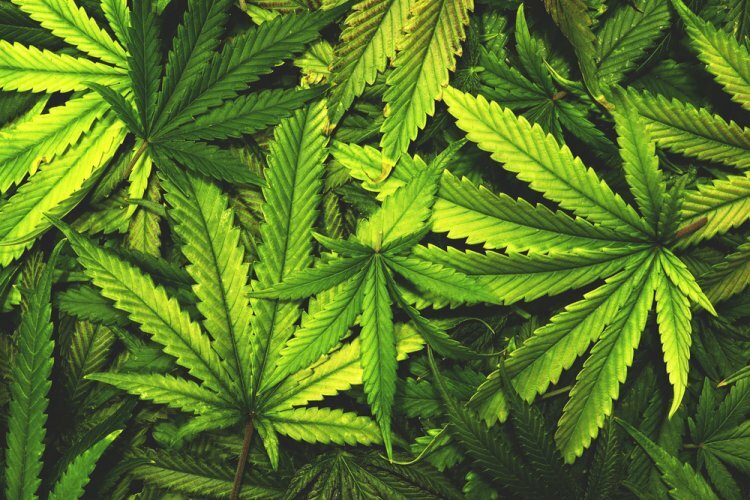 The intoxicating chemical in cannabis, THC, was discovered in Jerusalem in 1964 by Dr. Rafael Meschoulam and colleagues. His team later discovered the natural cannabinoid that the brain produces, termed anandamide. Scientists have, in parallel discovered, indeed that the body possesses an entire endo-cannabinoid system that actively works at multiple levels, including bone structure, eye pressure, bronchodilation, mother-fetus communication and immune function, to name a few. Researchers in Tel Aviv have recently demonstrated that cannabinoids, THC in particular, may actually have neuro-protective effects in the setting of trauma. Far from damaging the brain, THC may even protect it according to Israeli research. In fact, there is growing early evidence that the cannabinoids work counterintuitively to preserve the brain’s memory, even in Alzheimer’s. Medically speaking, cannabis is safer than aspirin, acetaminophen and, surely, oxycodone, which can stop one’s breathing. Cannabis is hands-down safer to body and society than alcohol, which is a common drink. And, while it is not recommended, one cannot overdose on cannabis, short of ingesting 65 kilograms of the substance. The bottom line is: not only does the Shulchan Aruch mention cannabis as finer choice for a Shabbos candle wick, but indeed the Torah may consider it a healing pillar of smoke.